Good weather is still playing hard to get, but we all long to get into the spring spirit. What better way to do so - without catching a cold - than with brightly coloured cotton knits? 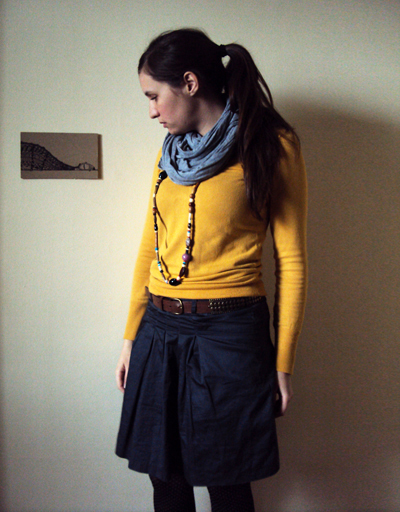 Yellow sweater, BERSHKA. Grey skirt, H&M. Brown leather belt, Massimo Dutti. 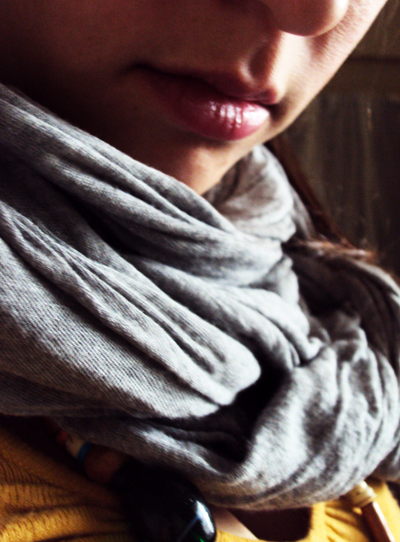 Grey scarf, ZARA. 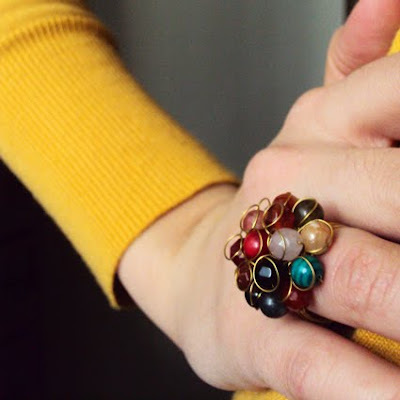 Multi-coloured bead ring, Ruche. Multi-coloured bead necklace, H&M. 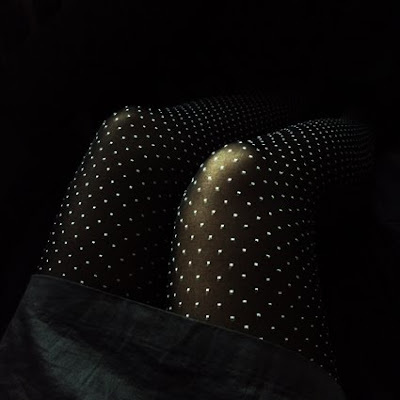 Dotted tights, H&M. 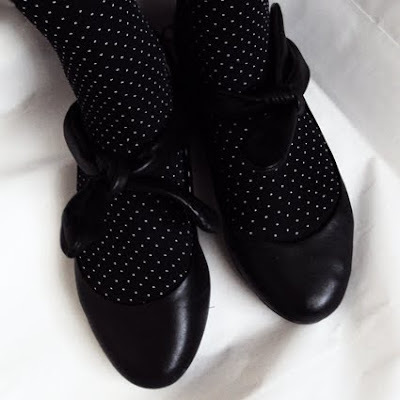 Black flats with ties, Pull&Bear. yellow is very hot the summer..
What a coincidence! Just started a painting this afternoon,using yellow ochre+prussian blue! It's a lovely combination! Love your outfit. 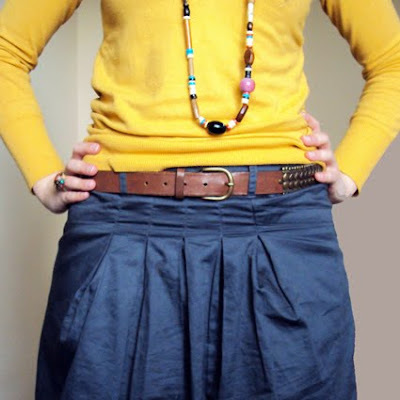 Especially the yellow jumper and the necklace! Love the yellow. And your TIGHTS! i love the lightning in the 3d and 4th picture. these tights can make the difference. its not easy to make the step from winterly to springy outfits and yours is ideal for this transitional period. you are totally right dear. I really like your tights and ring. needless to say that i love the tights!!!! i also love the color coordination that u have there! thumbs up for the whole outfit! Love the jumper and flats! agapw auto to kalson ! Το λάτρεψα το δαχτυλίδι σου!